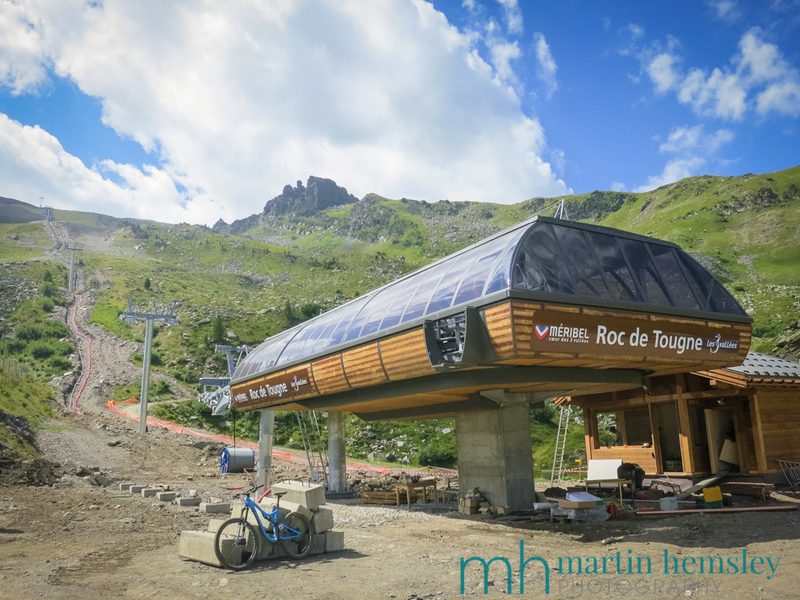 Following on from last month's blog post about the new huge water reservoir in Méribel, this time I'm reporting about a chairlift that I saw being installed during my summer holiday - the Roc de Tougne chairlift. 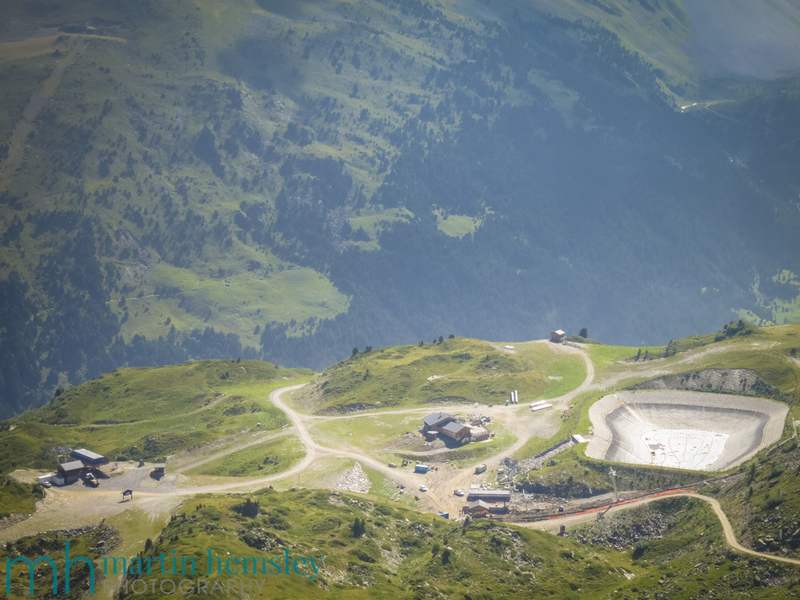 Over the years Méribel and the Trois Vallées ski area have invested heavily in improving the uplift capacity. Some clever people had made studies and decided that many of the old drag lifts should be replaced by more comfortable and faster chairlifts. Back in the day, drag lifts certainly had some advantages - they were much cheaper to install compared to chairlifts, and they can normally continue running for longer in poor weather, in particular high winds. Along with these advantages come disadvantages, mainly that their uplift capacity is much less, so during the busy periods it's not uncommon to see long lift queues. 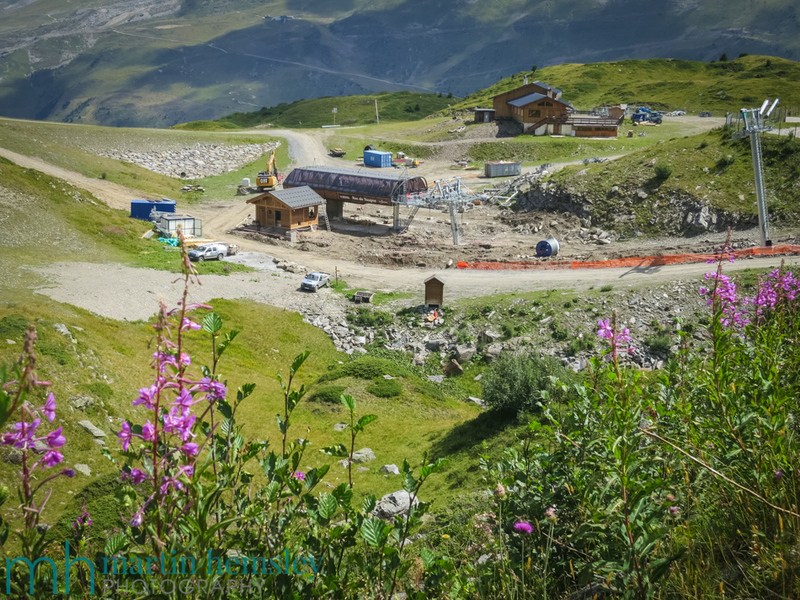 This new chairlift replaces the double drag lifts of the same name, going up to the Mont de la Challe 'liason'. This chairlift gives access to the Bartavelle black piste, the Lagopede steep red piste, and also a link over to the Belleville valley. There are mixed opinions about this upgrade, but let's look at the advantages first. My goodness the old drag lift was steep in places, and it certainly acted as a reminder to go to the gym during the off season to work on leg strength! A few loops down the Lagopede and Bartavelle pistes, along with using the drags, was an epic workout. So being able sit on a comfy chairlift in between runs will be appreciated. This is a great advantage because it means that you will have more energy for skiing instead of hanging onto the old drag. These pistes are fabulous as well; they pretty much face due North which means the quality of the snow is better than elsewhere on the mountain. 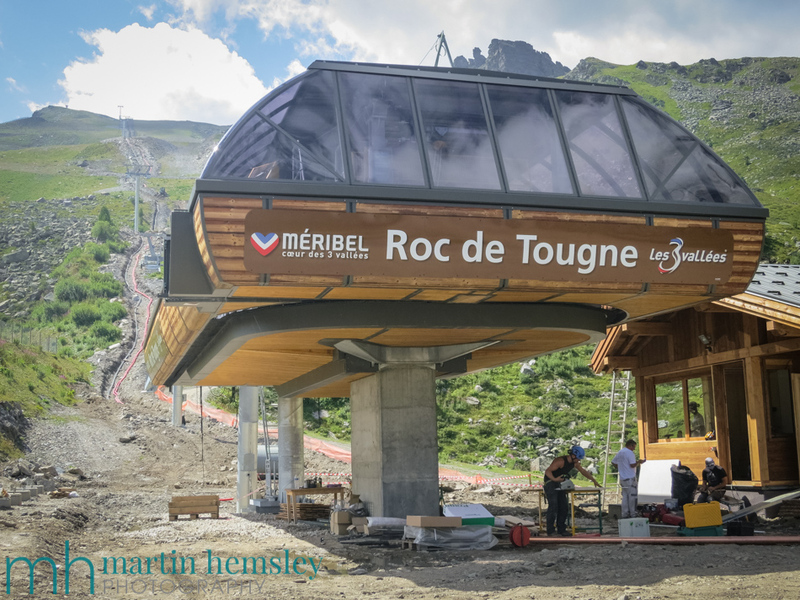 This chairlift will also open up the option to more skiers wanting to leave the Méribel valley and pop across to St Martin, Les Menuires and Val Thorens in the Belleville valley - another positive. 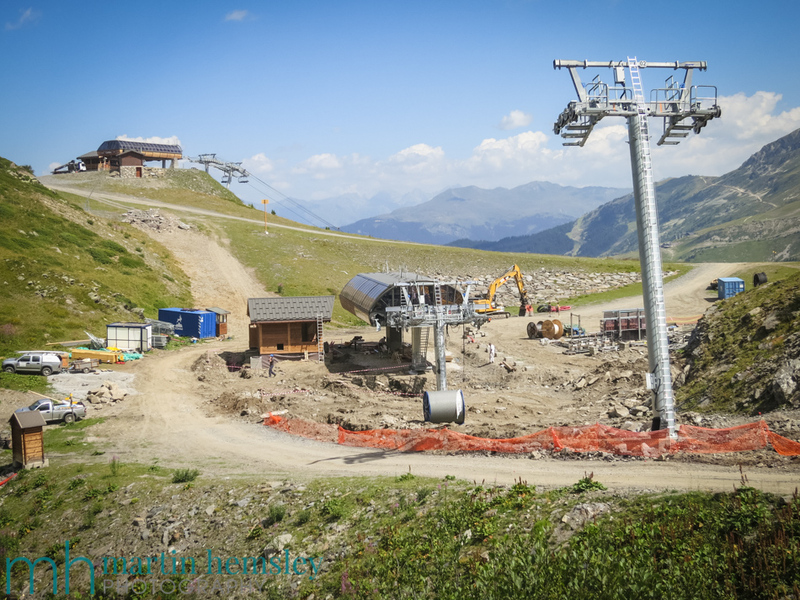 Some people have grumbled that this chairlift could make these quieter pistes more busy. That's possible I guess. The Lagopede and Bartavelle pistes don't currently have snow cannon coverage, so the more that they are skied on, the more the chance that the snow quality will transform as each day progresses. During good snow years I don't think this will be an issue, however during a snow drought it might. First world problems though don't you think. 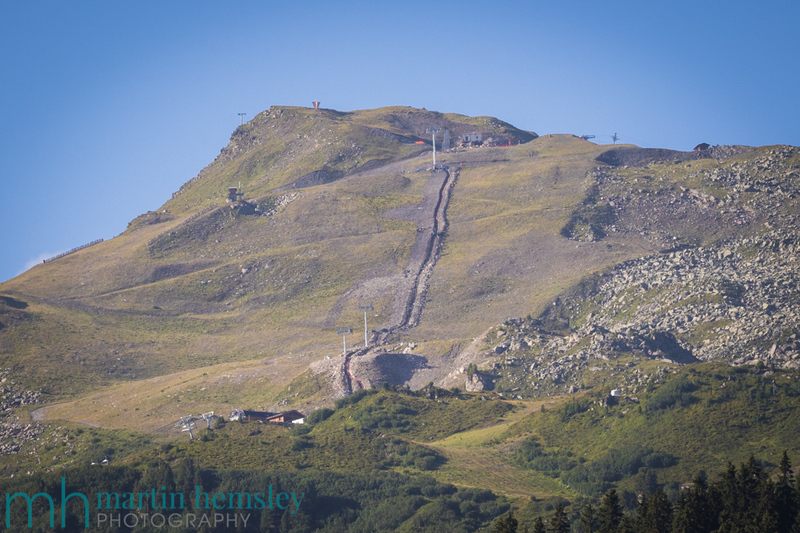 On the whole, I think this is a really exciting upgrade to Méribel's ski area; one that I'm looking forward to seeing again when covered in snow. Instead of moving around the mountain on my bright blue mountain bike, it will be nice to swap back to skis again! By the way, the line of the lift is different to the old drag lift. The chairlift goes up in between the two pistes, this means we will be able to clearly see both pistes from above, unlike the drag lift. I hope you've enjoyed this article, nothing ground breaking of course, but it's been nice for me to share my observations during my holiday from a couple of months ago. The temperatures are dropping across the Alps, with autumn taking a grip. And before you know it, snow will be covering the peaks soon. Have a great week everybody, and come back soon for my next post, which will feature skiing again. Martin.